As the new year gets under way so does the flurry of new construction activity in Vista. The amount of activity is at a level we have not seen since the early 2000s. This is especially true for the number of new townhomes that are either selling or under construction now. 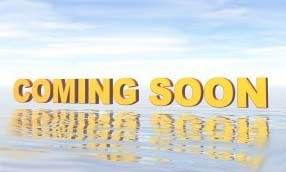 Currently there are 4 new townhome communities that are selling consisting of approximately 300 townhomes. 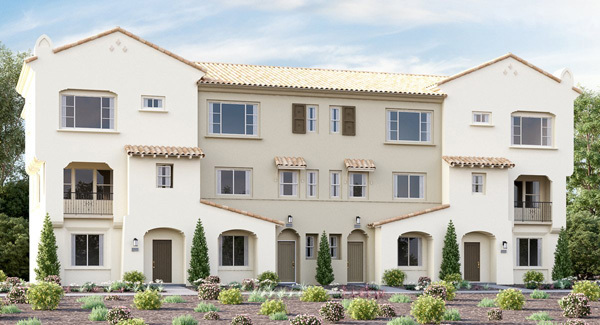 In the pipeline are another 124 townhomes that should come to market this spring. 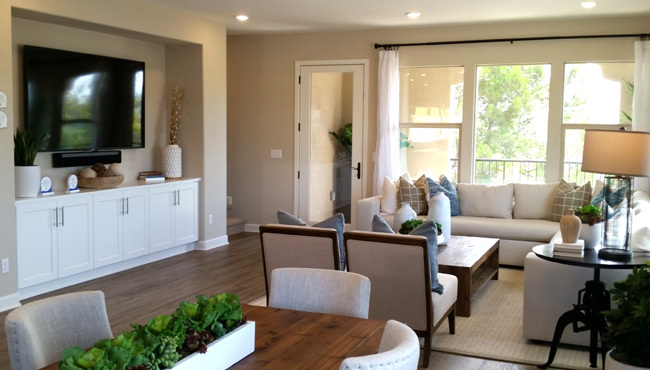 With starting prices in the mid $400,000s to the $600,000s, these new communities will allow many buyers to find something affordable (in San Diego’s world of high prices). This will allow many first-time home buyers their chance to purchase a new home. It’s an ideal situation with so many communities going to market as you will be able to compare and select the best value and find the right floor plan that suits your needs. Most of the current new townhomes in Vista are 3-story. Only Solara at Skyline is offering a 2-story although there are no entry level bedrooms. At Avila, all three floor plans include an entry level bedroom with a full bath which is ideal for a guest bedroom or an office. Right now, there are not many opportunities for a new detached single-family home in Vista. There are approximately 50 new single-family homes that should be coming to market early this year. There are no good details currently available, although I am aware of the locations and the square footage of the homes in the communities. I expect the price on many of them will be around $279 to $330 per square foot. 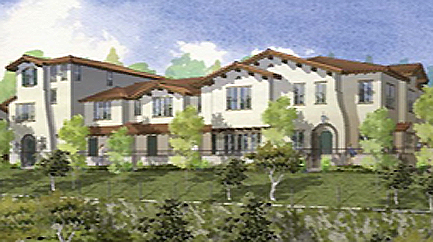 Vale View Estates will be offering single-story homes on good size lots from the $875,000s. Scattered throughout certain areas of Vista you will find some small builders that are building one or two new homes. These are usually on larger lots and some will offer single story homes. As I monitor the activity in the Vista Planning Department, I notice that there are also a few more communities that are approved and should be coming to market either this year or by 2020. These consist of both townhomes and single-family homes. If the housing market stays strong, you could expect more housing to be approved and built in the next few years. As a resident of Vista, I see many changes and improvements taking place in the community. These improvements include many changes to the downtown Vista area. If you haven’t explored Vista, you should take some time to discover all it has to offer. Better yet, let me show you around and discuss your housing choices with you. Did you know that many new home shoppers end up buying an existing home? Currently there are some very nice detached single-family homes on the market and you can expect more to go on the market as the spring real estate market heats up.